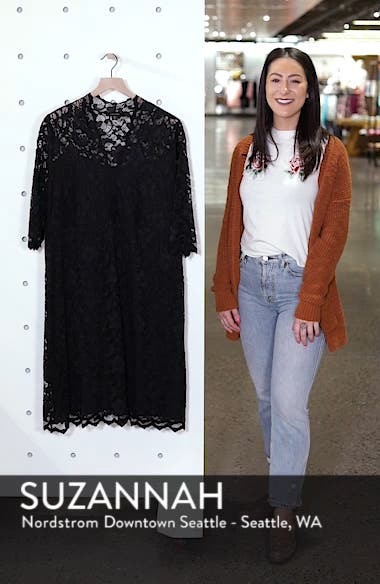 The unabashed romance of black lace is beautifully illustrated in a V-neck dress that flatters with an Empire-waist and a sheer-illusion yoke and sleeves. Choose a sizeTrue to size. 1X=16W-18W, 2X=20W-22W, 3X=24W-26W.